Los Angeles, Calif. (April 1, 2019) – Lewis Brisbois is proud to announce that Los Angeles Partner Claire Hervey Collins was recently elected into the American College of Real Estate Lawyers (ACREL), a premier organization of U.S. real estate lawyers. Admission to ACREL is by invitation only, following a rigorous screening process. Members are chosen based on their outstanding legal ability, experience, and high standards of professional and ethical conduct in the practice of real estate law. “I am grateful to my colleagues in the real estate bar for this recognition and am honored to join their ranks in ACREL,” Ms. Collins said. 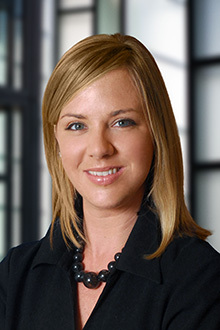 Ms. Collins is co-chair of Lewis Brisbois’ National Real Estate Practice. She frequently represents public entities, private companies, and individuals in a range of real estate, land use, and environmental matters. She also serves as General Counsel for the Irvine Ranch Water District, and assistant district counsel for the Los Angeles County Sanitation Districts. Ms. Collins currently serves as the Chair of the Los Angeles County Bar Association’s Real Property Section. Please join us in congratulating Ms. Collins on this outstanding recognition. Learn more about ACREL here.